It's spring, and everything is coming up pink, green, and yellow. While I certainly love me some bright colors, it might be those ominous-looking rain clouds that have been terrorizing Austin lately that inspired this post. 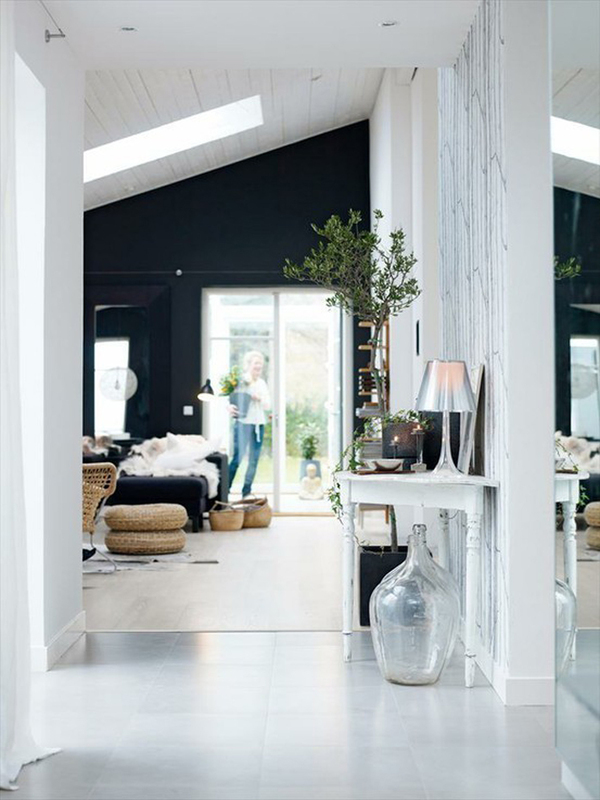 I went on a pinning spree for black accent walls a while ago, and I absolutely love the contrast...it really make the whites and colors pop in a room. You've probably heard the design advice again and again that dark walls make a room feel smaller, but in a lot of these, don't you feel like the black just fades into the background and the space goes on for eternity??? Just from looking at all the photos, I've gathered a few do's and don'ts for painting a wall (or entire room!) black. 1. Must get a decent amount of light! 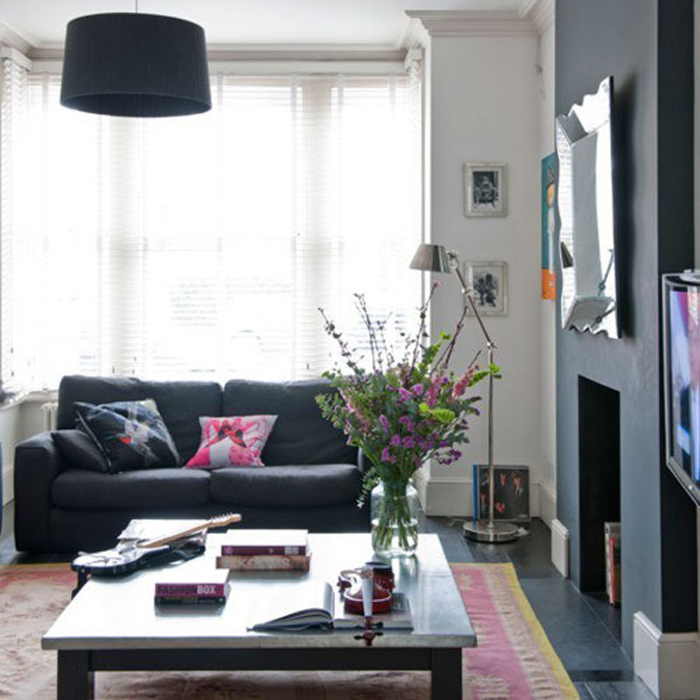 You don't want to feel like you are living in a cave...make sure there is a big window nearby to off-set the dark hue. 2. Skip the shine. Matte is where it's at when painting black. That's because the natural lumps and bumps that can be in walls stand out more with glossy finishes. Keep the shiny paint for furniture and accessories - the brighter and shinier the better with these, because you'll get maximum contrast. 3. Contrast is cool. Notice the ceilings and the majority of the other walls are kept light? Keeping the rest of the walls pale helps the accent wall stand out from the rest, while keeping a light and airy feeling in the overall space. Painting the ceiling dark can make the room feel smaller, which no one really wants to do. Want more? Check out more room inspiration on my Pinterest. 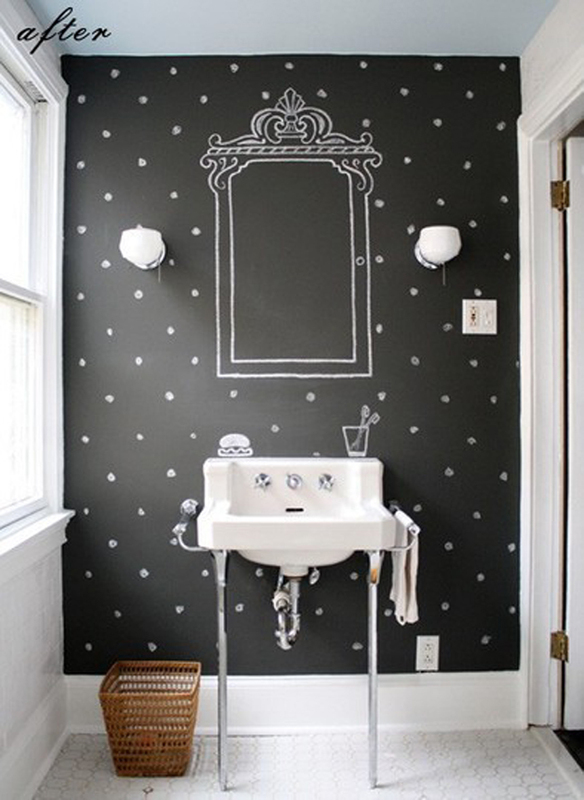 I love the black accent walls and especially like the first image. Agree-need lots of light to pull it off! I love black walls! Anything you put in front of it in color and bum, it pops! 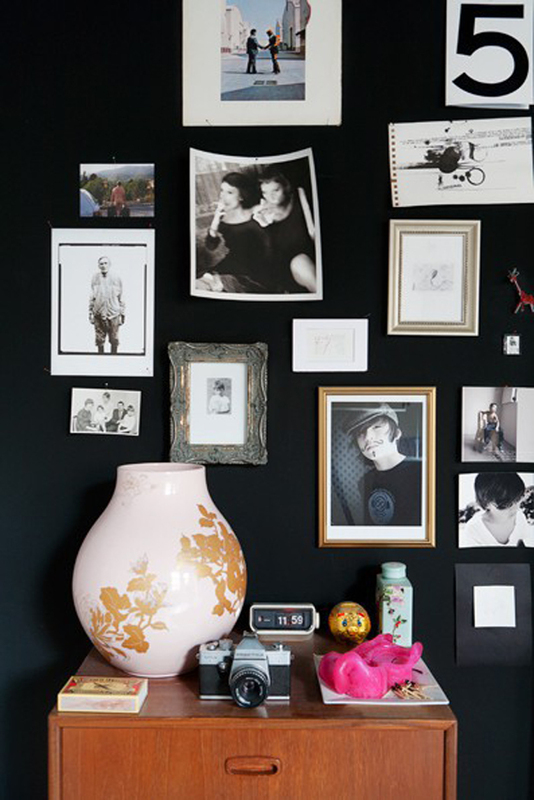 I love the idea of black walls. 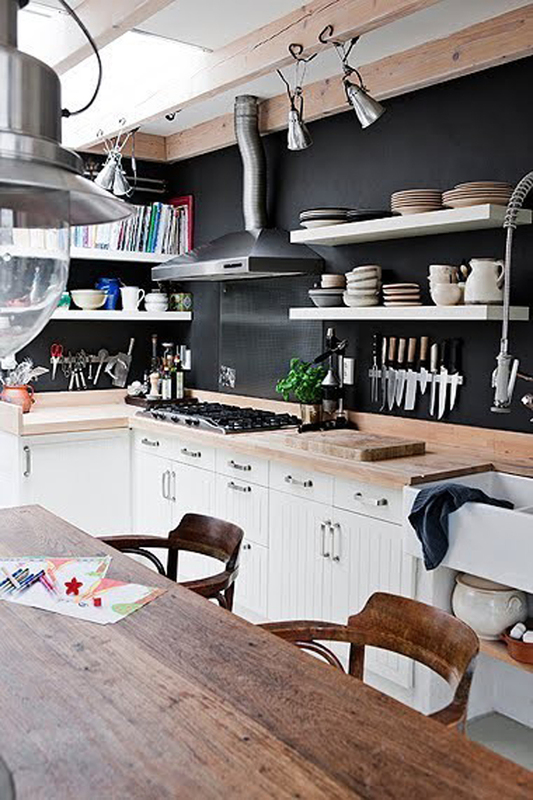 If I ever get a place with loads of natural light, I am totally doing a black wall! this is a great post, loving all the inspiration!